There's no better time to boost sales past the holidays than to take care of holiday shoppers right. Here are some timely tips to share with your team to boost sales in 2017. Year-end holiday sales have traditionally made up at least 20 percent of a retailer's annual total. Thanks to a strong labor market and a high level of consumer confidence, international business consulting firm Deloitte is predicting a 3.6 to 4 percent increase in holiday spending for 2016. Now for the bad news: holiday customers shop with you primarily out of convenience, rather than a strong affinity for your brand. While they have a solid impact on overall business, they rarely translate to repeat customers. It costs far more to attract a new customer than it does to retain an existing one. Here are some tips to keep those lucrative seasonal customers coming back for more. Yes, consumers like to save money, but your brand and its message are what earn their loyalty. Instead of bombarding new customers with come-on's offering discounts and promotions, follow up with a welcoming email explaining who you are and how your company can solve their problems with your products or services. With the increasing amount of competition in the marketplace, your company has to stand out above the others to gain sales. Offering superior customer service is a great way to set you apart. Using a proactive approach to address customer questions and concerns demonstrates that you consider them to be more than a faceless seasonal transaction. For many sites chat functions for immediate interaction is a great way to add a personal touch. Converting seasonal customers means getting them to think of your company as a year-round solution to their needs. Social media lets you target specific audiences with information such as new products, coupons and even "non-ads" thanking customers or asking for feedback. Sales and marketing is a full-time job and should have your focus to help your business grow. 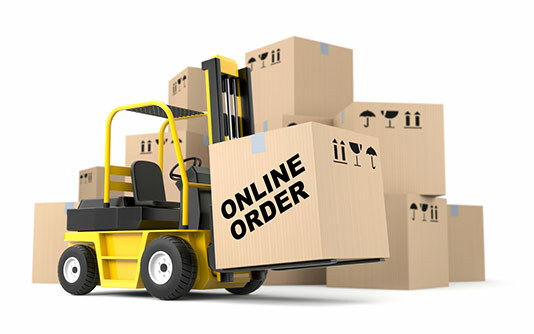 Leave the ordering, warehousing, packing and shipping to us. We have more than 25 years of experience in providing professional and cost-effective fulfillment services so you can concentrate on growing your business. Contact us today for more information.